A strawberry design with a sweet and refreshing look! 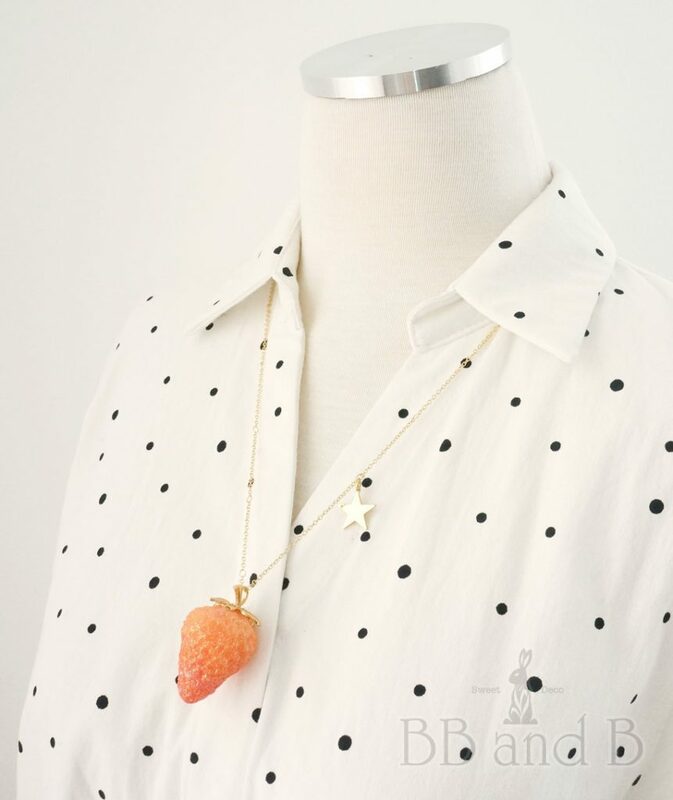 This unique necklace features a juicy gradient strawberry sweetened with fine sparkling glitter and topped with a golden stem and stalk. 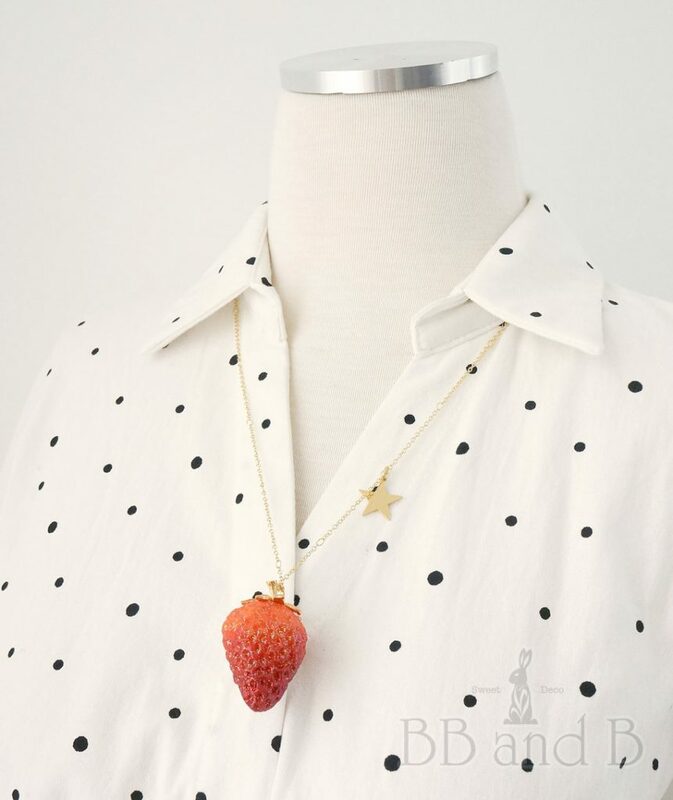 This luscious strawberry pendant hangs from an 18k gold plated necklace chain that comes with an adorable star charm that makes it the perfect summer accessory! Available in Gradient Red or Gradient Pink. Copyright 2011-2019 BB and B. All Rights Reserved.